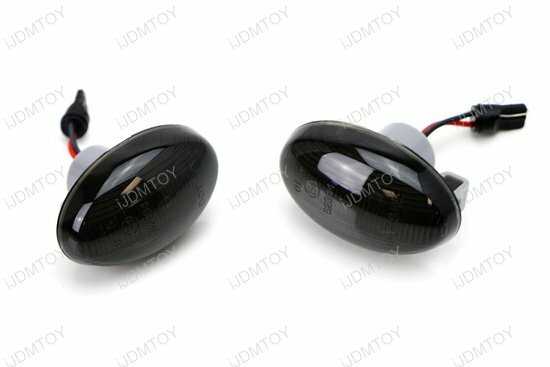 Q: What car will these LED side marker lights fit in? 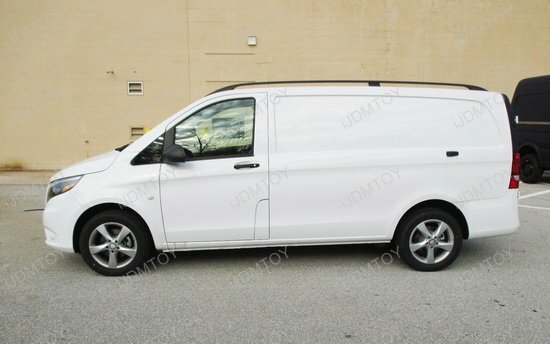 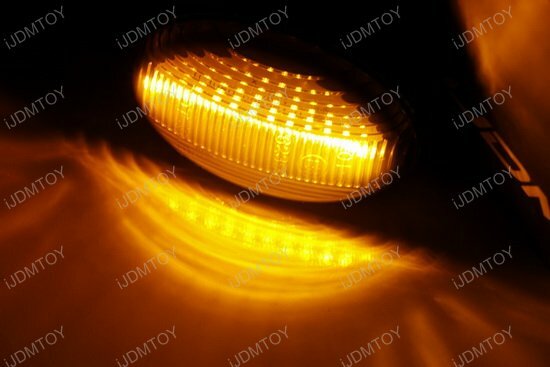 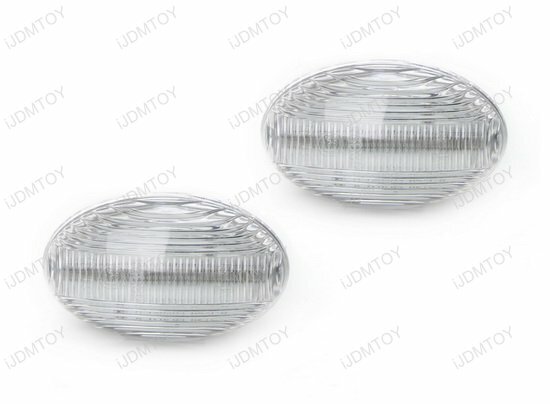 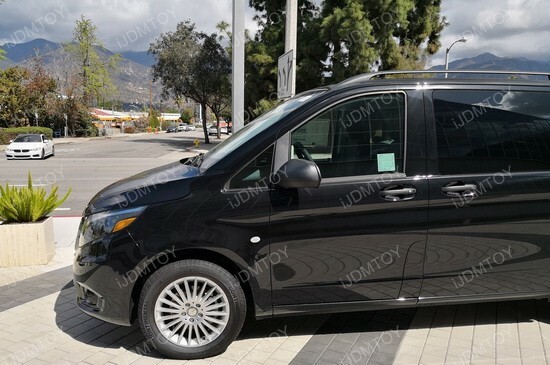 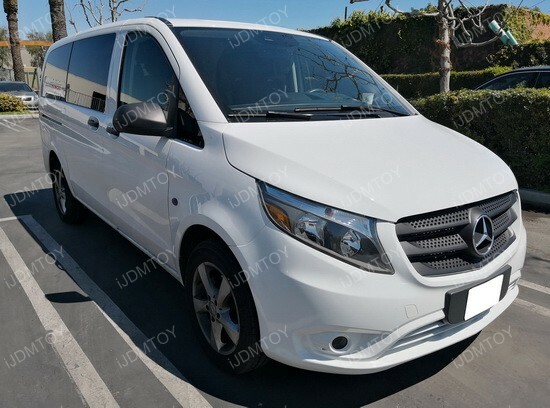 A: The clear or smoked lens 10-SMD LED side marker lights are made to fit the 2003-up Mercedes Benz W639 W447 Vito Metris Viano Citan V-Class van. 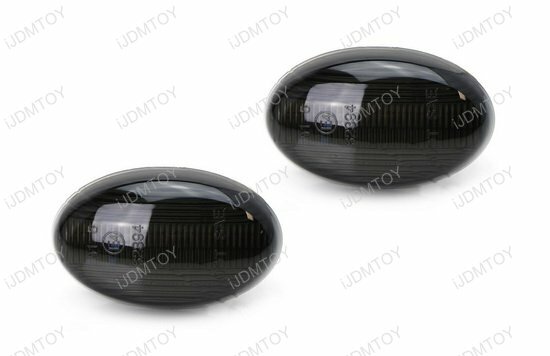 Q: What OEM numbers do these side LED marker lamps replace? 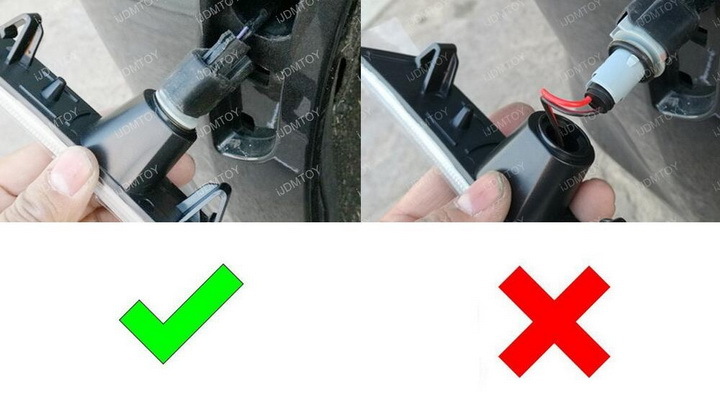 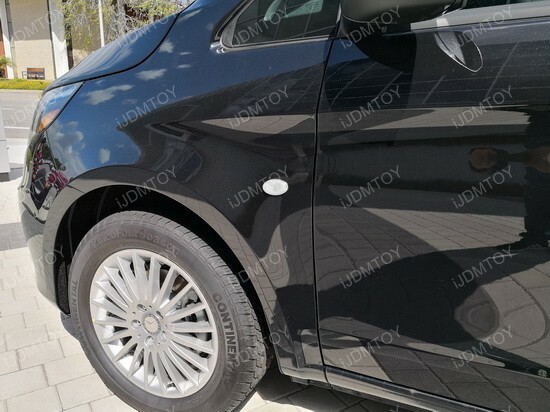 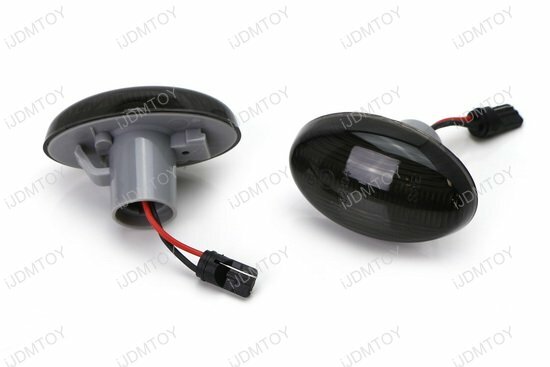 A: The front-end Mercedes side marker lights replace OEM part numbers 6398200021 and 1688200121. 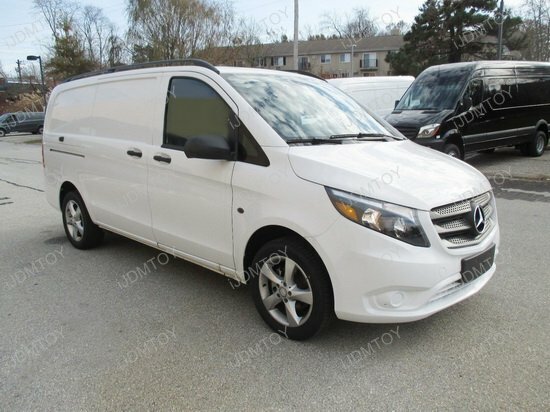 Q: Do I have to do any modifications for this to fit my Mercedes van? 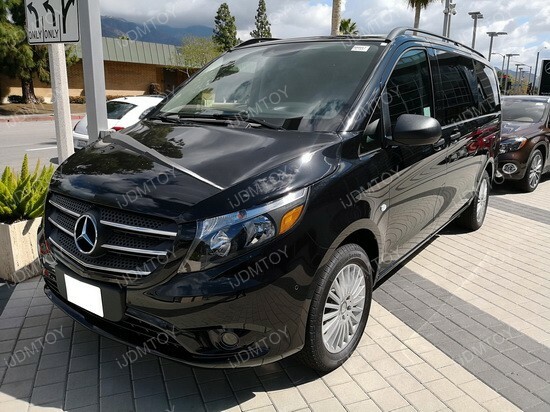 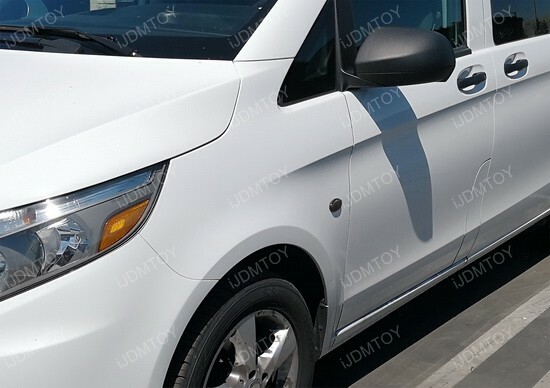 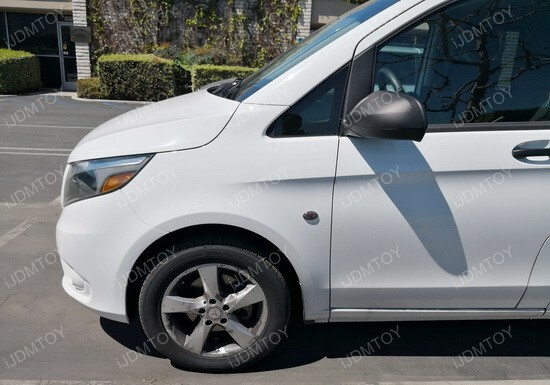 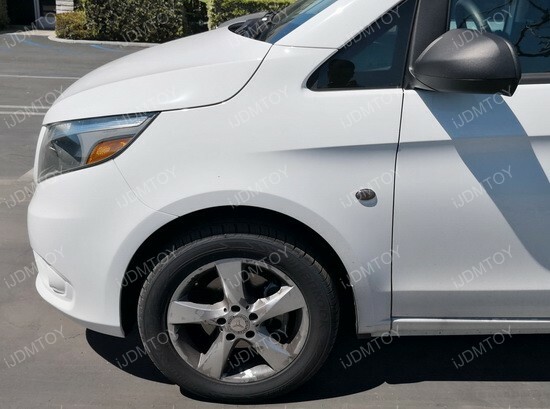 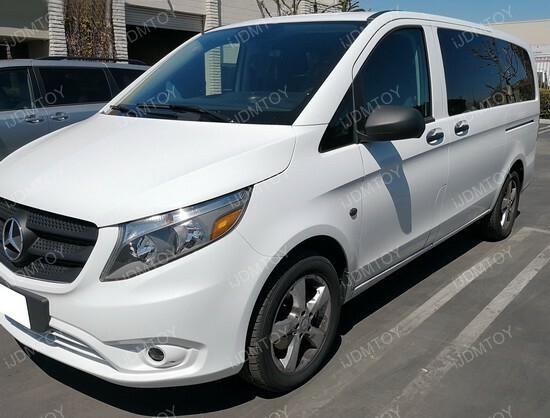 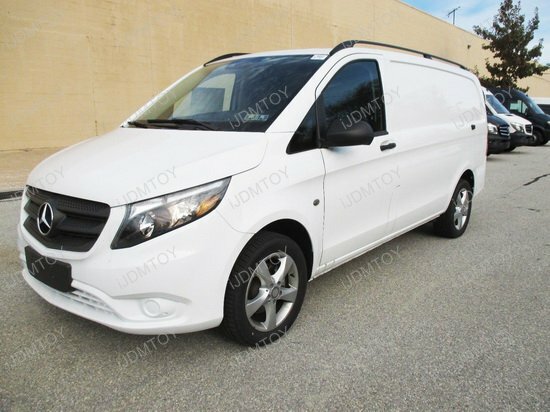 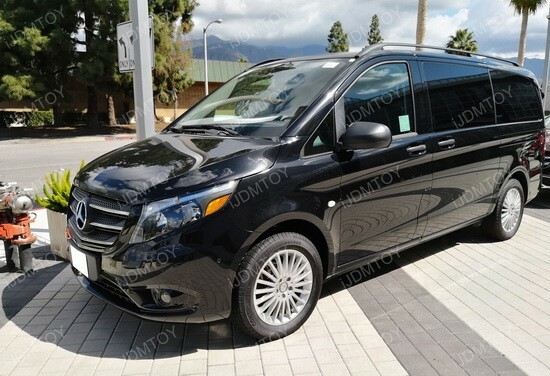 Side marker lights are surprisingly an essential part of establishing your visibility, especially when driving bigger vehicles such as the V-Class van. 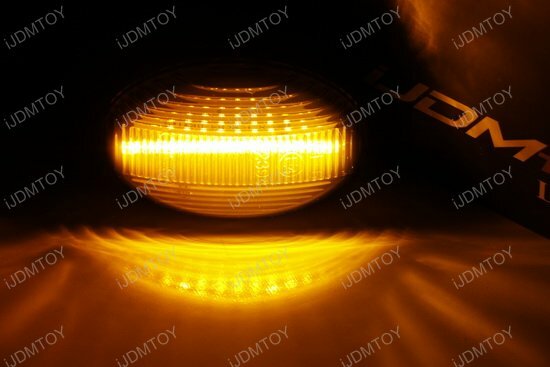 So if you're looking to keep your Mercedes van and its cargo safe, you'll want to get the amber full LED side marker lamps! 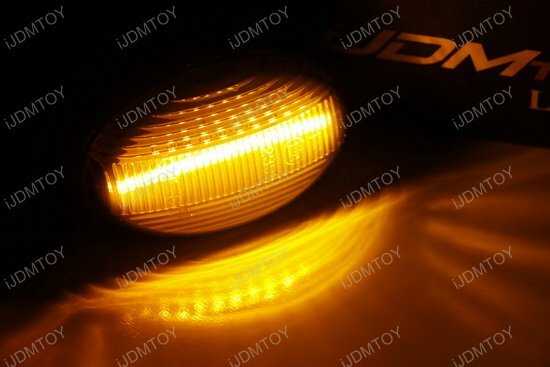 Each unit powered by 12 pieces of SMD LED emitters, the LED side marker lamps shine in a full amber yellow for maximum clarity day or night. 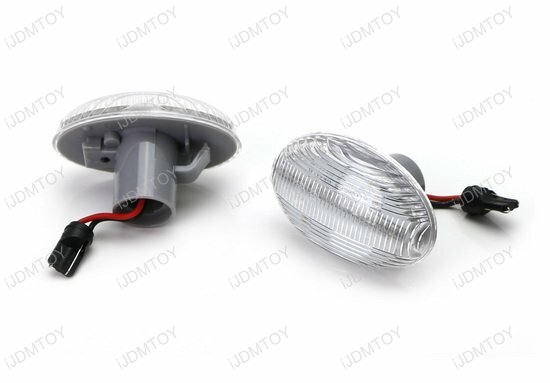 Easily install these LED sidemarkers by directly replacing your stock incandescent light markers (OEM part# 6398200021, 1688200121). 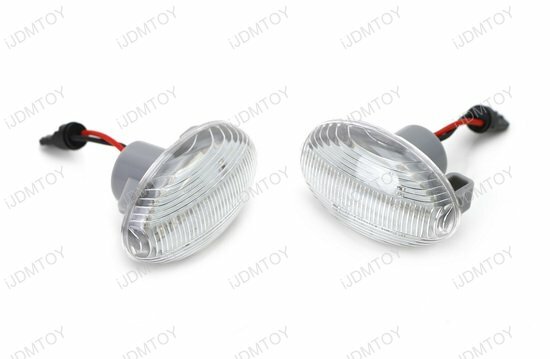 A huge step up from stock and other aftermarket side lamps, this pair of smoked lens LED side marker lights offer you full LED strips that are brighter and visually more appealing. 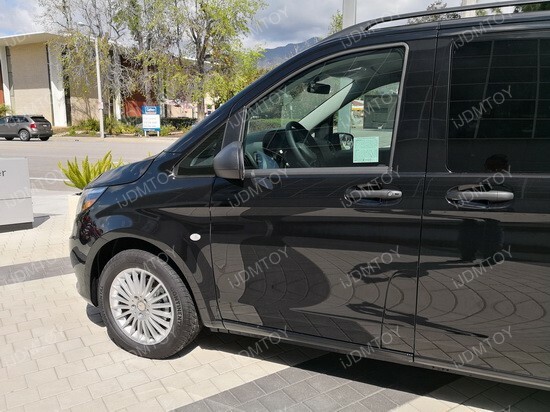 This will improve other drivers' awareness of your presence which promotes safety for your Mercedes V-Class van.